There are roughly five billion ways to make a lamp. Some are quite challenging and require an expert's hand, but many are easy enough for a novice to do within the space of single weekend. Here are some of our favorite simple DIY lighting projects. In any room, in any house, lighting is key. Besides its practical importance, lighting is one of the main factors influencing the ambiance of a space. With insufficient lighting, an otherwise cheerful living area might feel oppressively gloomy. On the opposite end of spectrum—pun!—an overload of light in the bedroom would make it virtually impossible to relax or get really comfortable. If you’ve spent any time shopping around for the right fixture, you’ve probably discovered what is for me one of life’s great frustrations: nice-looking lighting costs a pretty penny. 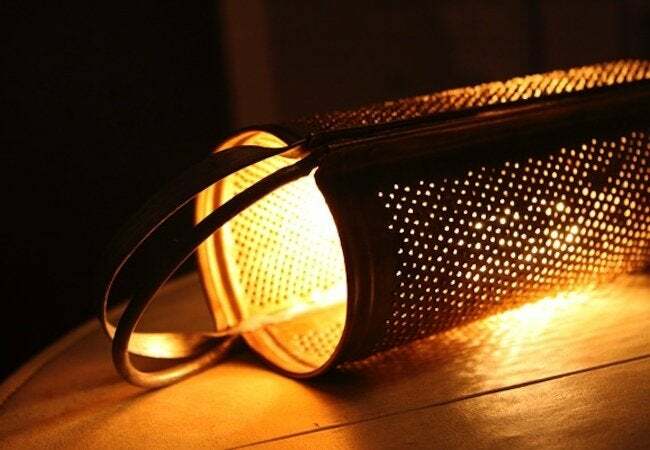 But if you pursue any of the following project ideas, you can design and make a lamp on your own, without spending much money or time. Yes! Ash from Blog A La Cart came across an “epic ball of repurposed rope” online, and she bought it, not with a specific project in mind, but with confidence that one day, she’d find a way to celebrate the material’s patent awesomeness. 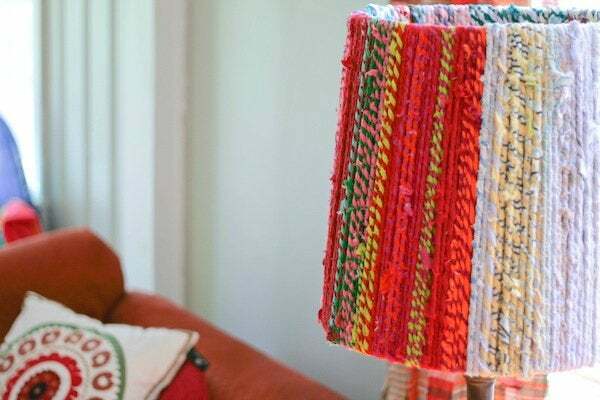 Ultimately, she used it to make this lamp shade. Look for opportunities to veer away from the traditional bulb-within-a-lampshade arrangement. One surefire way to achieve a unique design is by repurposing an old container or vessel as the base for the lamp you are making. Dabney did so with a candle holder; the result is so very cool. 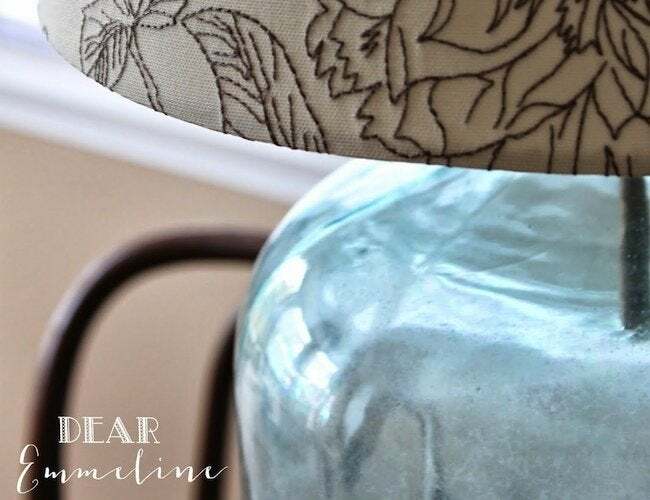 Light up your living room with a lamp made from an unlikely object—an oversize glass jug. Search for one at local thrift stores and flea markets, if you don’t have the perfect specimen collecting dust in your attic. Meantime, check out Dear Emmeline to see how she managed to make hers. Rather than hit the stores to seek out a new lighting fixture, why not shop your own home? 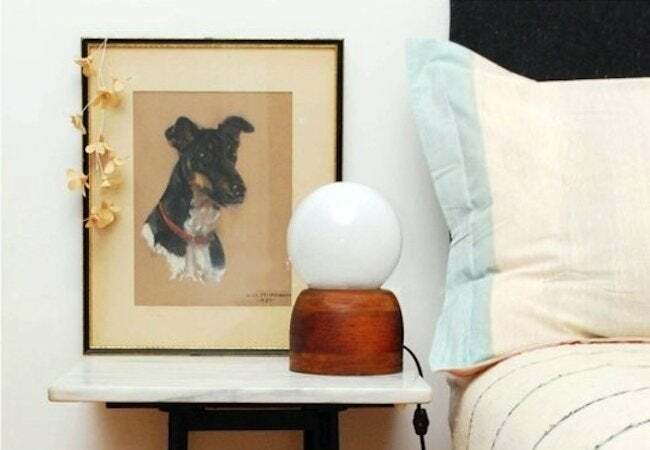 Survey what items you’re not using, and consider which would lend themselves to a second life as a lamp. Claire had the brilliant idea of capitalizing on the hollow middle of a cheese grater! 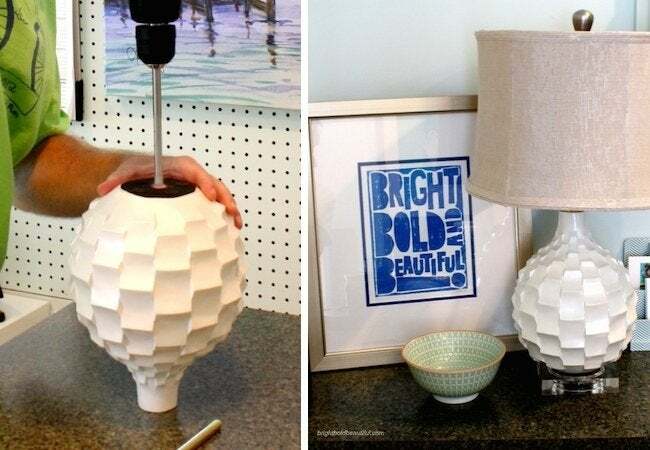 Chances are you’ve got more than a few vases you rarely use; consider transforming one into a lamp. Of course, vases come in a nearly infinite variety, with different designs requiring slightly different DIY strategies. But for a general idea of the process, visit Bright, Bold & Beautiful.